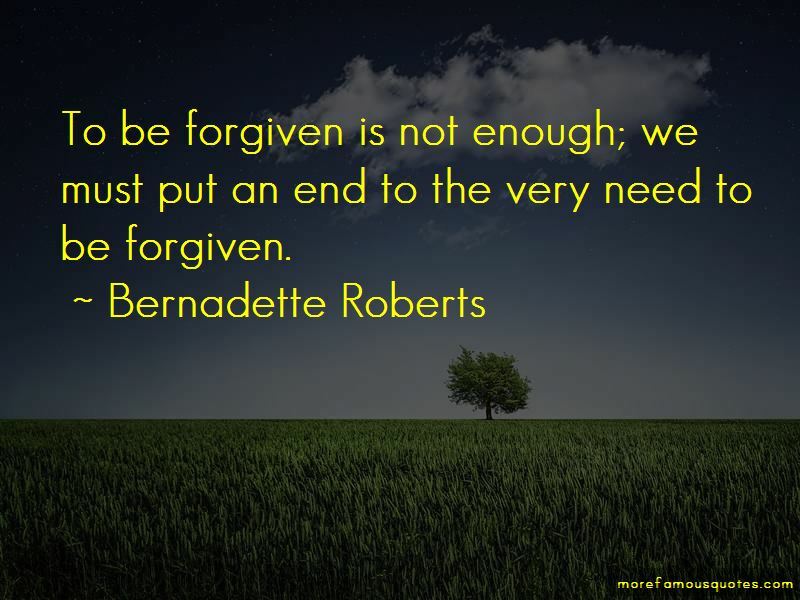 Enjoy the top 19 famous quotes, sayings and quotations by Bernadette Roberts. Spiritual life is like a moving sidewalk. Whether you go with it or spend your whole life running against it, you're still going to be taken along. Only God is love, and for this love to be fully realized self must step aside. 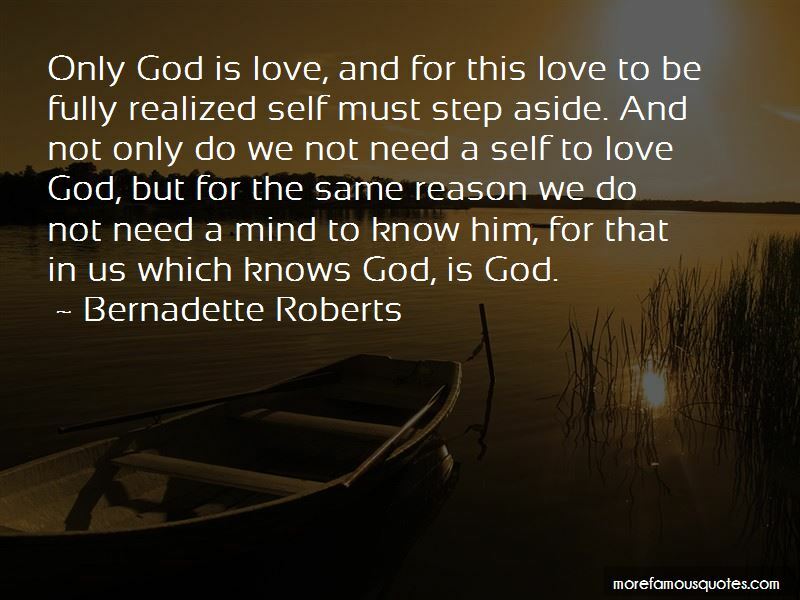 And not only do we not need a self to love God, but for the same reason we do not need a mind to know him, for that in us which knows God, is God. The truest communication with God is absolute, total silence; there is not a single word in existence that can convey this communication. When there is no longer a cyclone, there is no longer an eye. So the storms, crises and sufferings of life are a way of finding the eye. But coming home that day, walking downhill with a panorama of valley and hills before me, I turned my gaze inward, and what I saw, stopped me in my tracks. Instead of the usual unlocalized centre of myself, there was nothing there, it was empty, and at the moment of seeing this there was a flood of quiet joy and I knew, finally I knew what was missing-it was my "self". 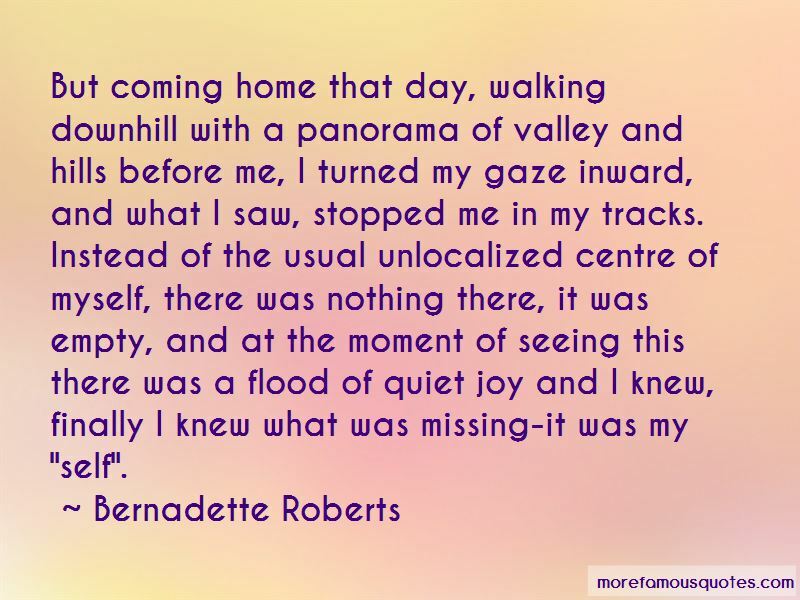 Want to see more pictures of Bernadette Roberts quotes? 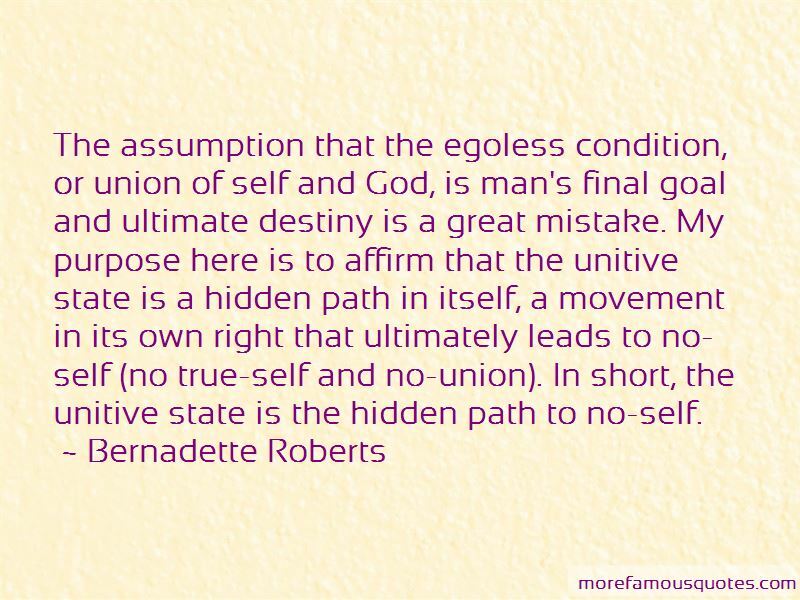 Click on image of Bernadette Roberts quotes to view full size.